The Rio sedan and its hatchback sibling, the Rio 5-door, are Kia's smallest and least-expensive vehicles. 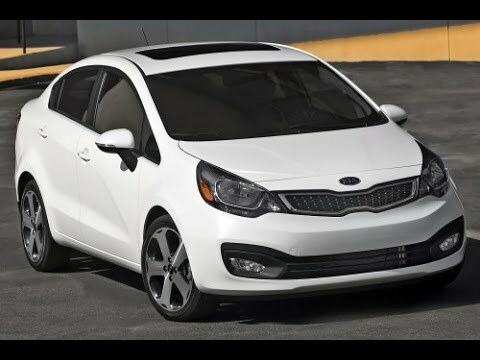 Yet like every new car from the Korean automaker, the 2015 Rio packs style, features and value, not to mention a warranty that covers 10 years/100,000 miles for the powertrain. Best low-maintenance, reliable car you will ever have. I bought my 2015 fresh off the lot 3. 5 years and it now has 31, 000 miles on it. Despite my failure to keep up on routine maintenance, it is very reliable. During this time, I have only been able to do about 7 oil/filters changes and have had to change 3 tires due to foreign objects lodged in them. The only thing that has suffered is my gas mileage but that is completely understandable. I love that I can raise the seats up because I am very short. I do not like the breaks as much as my 2008 Kia rio because I knew my brakes could stop my car on a dime in emergency situations. While the newer model does stop quickly, the action does not feel as smooth and I can feel everything going on through the pedal. Compared to the 2015, my newer Kia does not drive through road water as well but it can keep up with high-paced traffic. There are very few vehicles that I would say that drives better but I prefer my current vehicle because I know how well it performs and how low-maintenance it can be. The vehicle is great on gas and is easy to drive. The car drives really well, but it is low to the ground so be prepared to have the bottom scrape a lot, the shield may become dented upon hitting pot holes, and if you drive a lot, where and tear on tires happens fairly quickly. It gets great gas mileage between 30-40 mpg, which I find pretty nice. It has an eco mode which is useful as well. Small white 4 door sedan. Very large trunk. I honestly have no issues with my car. No problems except the occasional flat tire or dead battery. Very comfortable. I only wish it had automatic locks and cruise control. Very good gas mileage, one of my favorite things. It is comfortable and has lots of room for a small car, including a huge trunk.